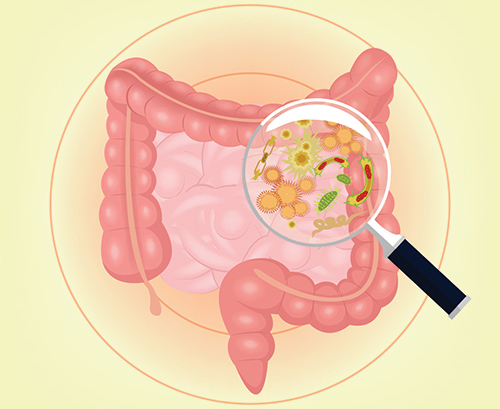 Understanding how the gut microbiome is established and by what means the combination of microbes in individual children may contribute to the risk of developing conditions like type 1 diabetes and inflammatory bowel disease is key to overall developmental health. Now, a research team led by investigators at Massachusetts General Hospital (MGH) and the Broad Institute has assembled a comprehensive analysis of changes in the intestinal microbial population during the first 3 years of life, revealing some of the impacts of factors such as mode of birth—vaginal versus cesarean section—and antibiotic exposure, including the effects of multiple antibiotic treatments. The researchers were able to enroll a group of 39 children, from whom monthly stool samples were taken beginning after birth and continuing until age 36 months. Each sample was analyzed with a standard, RNA-based sequencing procedure used to identify microbial populations, and more detailed whole-genome sequencing (WGS) was conducted on about 25 percent of samples to reveal the distinct strains of identified microbial species. During the study period, 20 of the participants received antibiotics to treat respiratory or ear infections, with those children receiving from 9 to 15 treatments. While many features of the developing gut microbiome were found to be consistent across all study participants—with the presence and abundance of particular species rising and falling at similar age points—researchers also found several apparent differences from the findings of previous studies regarding the impact of breastfeeding. Previous work that compared breast-fed with formula-fed children reported increased abundance of Bifidobacterium species in those who were breastfed for longer periods of time. All of the children in this study were breastfed for some period, and while there was some correlation between the length of breastfeeding and levels of Bifidobacteria, some of the children in this group had low levels of those bacteria, even while being breastfed. Interestingly, the investigators found that children who had been exposed to antibiotic treatment had a reduced diversity of their microbial populations, a difference that was even greater in those who also had a low Bacteriodes signature. Moreover, WGS uncovered that, in antibiotic-exposed children, bacterial species tended to be fewer and dominated by a single strain, instead of the several species and strains seen in those not treated with antibiotics. The analysis of many samples taken over time revealed that the microbiomes of antibiotic-exposed children were less stable, particularly around the time of antibiotic treatment. The presence of genes known to confer antibiotic resistance rose rapidly during antibiotic treatment. However, the number of resistance genes encoded on microbial chromosomes dropped quickly after treatment was discontinued. Yet, resistance genes encoded on small DNA molecules called mobile elements—one means by which resistance genes can be transmitted among bacteria—persisted much longer after antibiotic withdrawal.